“I think we prepared well. It’s the attitude. Attitude was missing everywhere today,” Patrick Reichelt said in a TV interview after the match. MANILA, Philippines — Patrick Reichelt, who delivered the Philippines’ first-ever goal in the Asean Footbal Federation Suzuki Cup semis, rued how the Azkals’ attitude problem hastened their fall in a 1-2 setback to Vietnam in the first leg Sunday at Panaad Stadium in Bacolod. “I think we prepared well. It’s the attitude. Attitude was missing everywhere today,” the Fil-German said in a TV interview after the match. 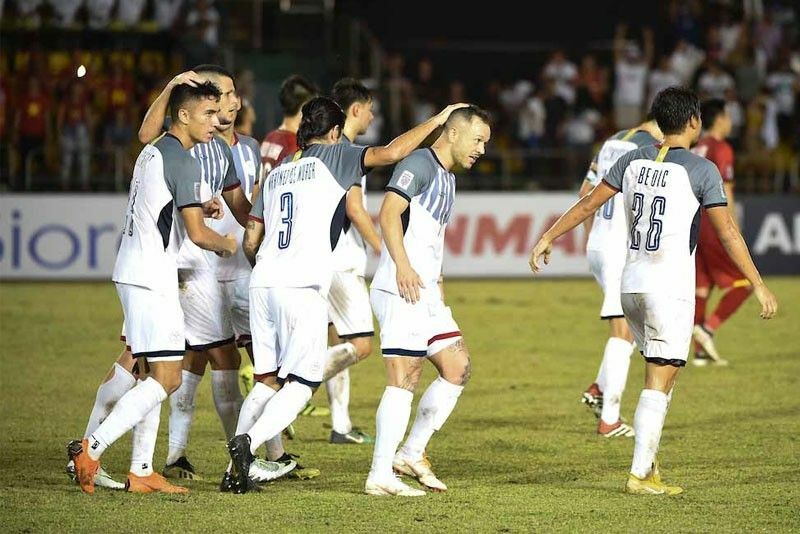 After the numbing loss, the embattled Azkals now have to pull off a “Miracle in Hanoi” on Thursday to steal the two-legged tie with the Golden Dragons, needing to beat Vietnam by at least two goals on hostile territory to salvage a historic finals berth. Their defense caught napping, Azkals conceded early but managed to draw level on a Reichelt’s magnificent finish off a Phil Younghusband assist at the stroke of half-time, marking the team’s breakthrough goal in four semis appearances and becoming the first to breach the Vietnam’s impenetrable defense in the 2018 competition. However, Vietnam pounced on another defensive lapse to restore a 2-1 edge at the 48th and held on to take the vital win and two away goals heading into the return leg. “Our effort was not good. From 80 to 90 percent of the game, it was not good enough,” said Reichelt, who made his Suzuki Cup debut in 2012. He rallied the side to summon back the old Pinoy fighting spirit in the next match.